A snapped tree fell on Alex Higden's flatbed truck during the severe storm in B.C. on Dec. 20. It broke part of his back, but Higden's father said he's already set his sights on going home. Alex Higden had a bad feeling. 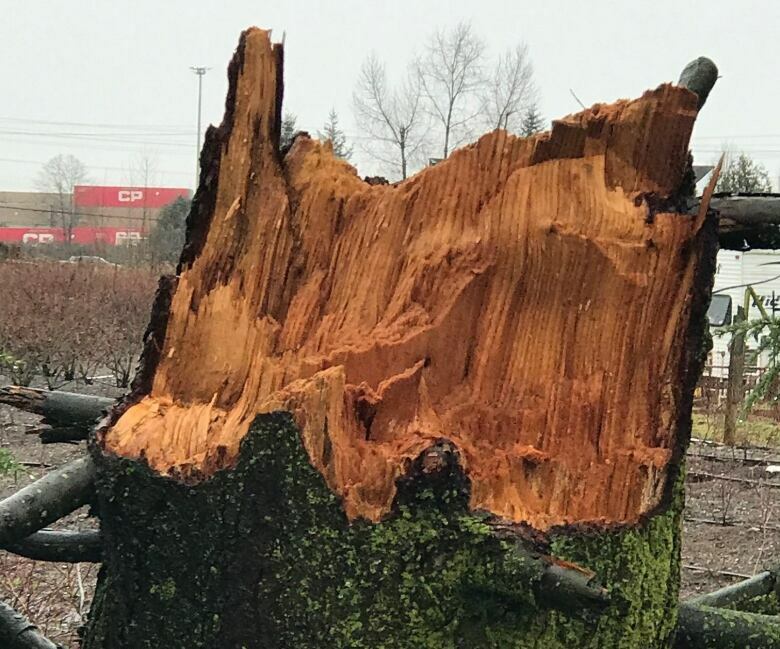 He was working in Pitt Meadows, B.C., on Dec. 20, and the storm was picking up. The weather forecast looked anything but good and wind was blasting around 100 km/h. Higden, 20, decided to pack up his flatbed truck and leave work early in hopes of beating the worst of the weather. It was his last shift before Christmas and he was heading home. Next thing he knew, Higden's truck was hurtling along the pavement and he couldn't move his foot off the gas pedal. A gust of wind had snapped and thrown part of a tree into Higden's truck. 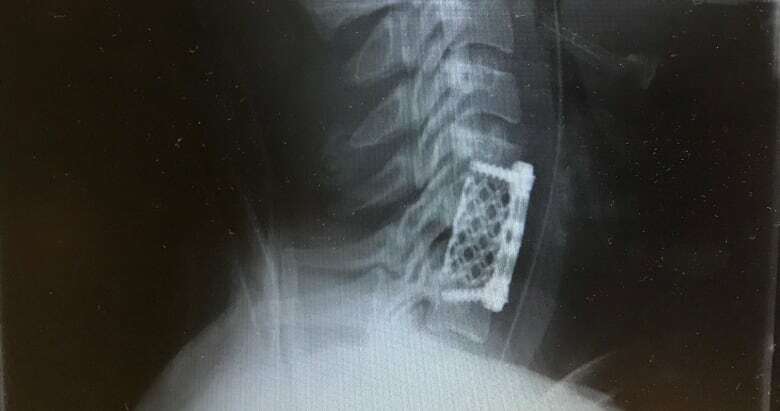 The impact shattered Higden's C6 vertebrae and damaged his spinal cord near the base of his neck, paralyzing him from the chest down. "Basically, it broke his back instantly," said Higden's father, Todd Higden. "He didn't even see it coming." The truck only stopped when it crashed into a culvert. The storm would go on to be called the "most damaging" in B.C. Hydro's history, killing a woman on Vancouver Island and causing around $37 million in insurance damages. For Higden and his family, it's become a Day 1. His dad, Todd, said he was shocked to find his son talking when he got to the hospital. "He was perfectly fine, but he couldn't move anything," Todd said. "He was talking to us and he said: 'What the hell happened?' And I said, "You got hit by a tree." "His exact words were: 'I got hit by a f--king tree.'" 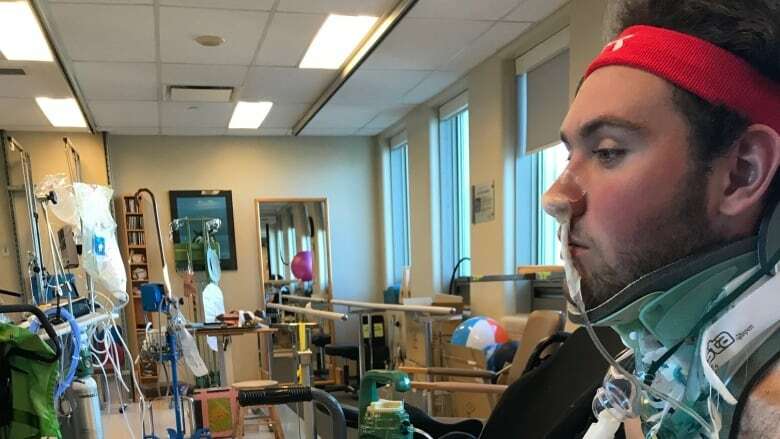 Higden underwent surgery at Vancouver General Hospital (VGH) to repair his spine but had a number of complications afterward: pneumonia, collapsed lungs and a lingering virus from before the storm. He spent 10 days in the ICU. Todd said his son is now in the spinal ward at VGH. Ideally, he'll be there for another two weeks before moving to GF Strong to begin physical therapy. Higden has already regained some feeling in his arms, but it's not clear how much mobility he'll get back in the rest of his body. "It does [change your life], but I'll take him in any form. He's alive. He's the same person. How he survived that accident, it's incredible. If anyone had been sitting in the passenger side, they'd be dead," Todd said. "It's terrible, but in another way we're lucky. Just to have him." Todd, who works as a contractor, said he's already started to renovate the family's house to accommodate Alex's limited mobility once he goes home. Friends have launched a GoFundMe page to help cover costs. "He can't wait to get home," Todd said. "He wants to get strong again. He wants to walk. That's all I can say."